Do you have a greenhouse? 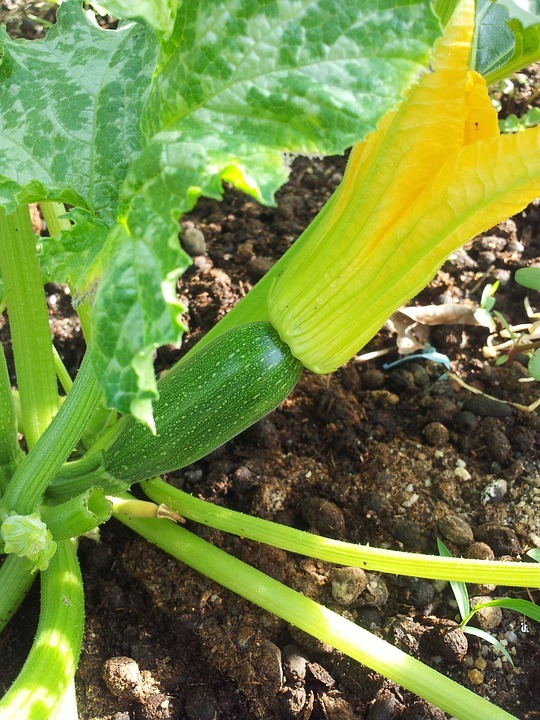 Do you wonder what vegetables to grow this winter so that you can make it work for you all year long? Well, I can help you. 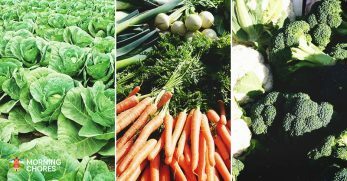 I had a cold frame greenhouse that was really great to utilize all winter long, so I always had fresh vegetables, and I wasn’t dependent upon the grocery store. 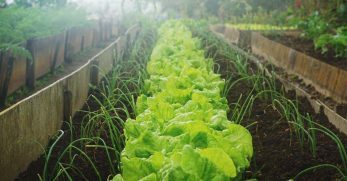 Would you like to know how to grow vegetables in your greenhouse over winter and then also, which vegetables? 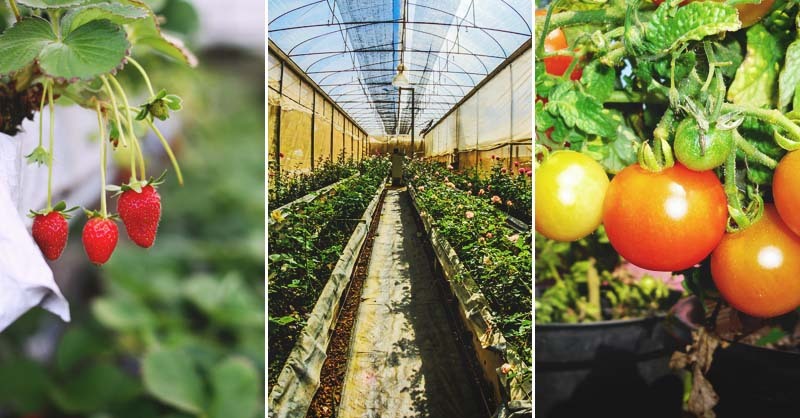 There are actually a couple of different options for growing vegetables and fruits in your greenhouse over the winter months. You’ll need to decide which approach you’d like to take first and see which one works best for you. The greenhouse I had was an unheated greenhouse. I’ll tell you my situation upfront, but we recently moved, and I haven’t gotten around to building a new greenhouse at our new home. However, we had a large cold frame greenhouse at our previous home for almost 5 years. So I used it and appreciated having it for a long time. I really miss not having one this winter, but I will hopefully get a new one built by next winter. So I know that you can grow in an unheated greenhouse in most climates over winter. 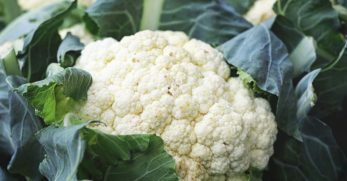 The trick is growing only hearty vegetables so that they can withstand the cold temperatures as long as they don’t have the snow and frost on them. 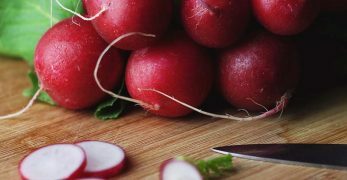 Or you could grow the winter vegetables that can actually be left outside over winter (under the snow and frost) and just not have to dig through the snow to get to them. So you would plant each vegetable just as you would if it were in a regular garden bed. 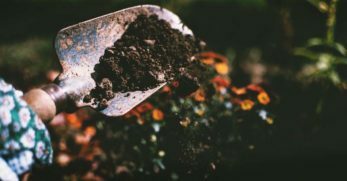 You’ll still need to fertilize and water as you would any other garden. Don’t forget to weed your unheated greenhouse garden and don’t forget to harvest on time either. It is all pretty straightforward when you grow a winter garden in an unheated greenhouse. 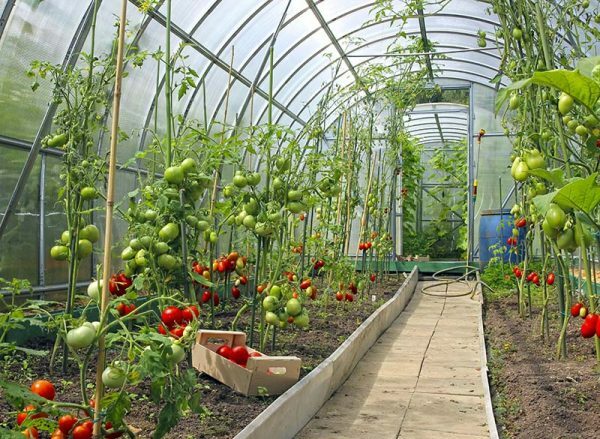 Your next option is to extend the growing season for some of your plants in a heated greenhouse. If you have peppers, tomatoes, squash, fruit trees, potted strawberry plants, etc. 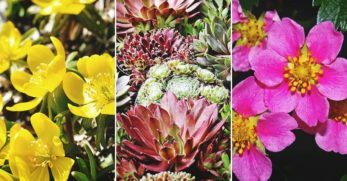 that you’d like to enjoy over the cold winter months, then you’ll need to put them in pots and move them to your heated greenhouse. 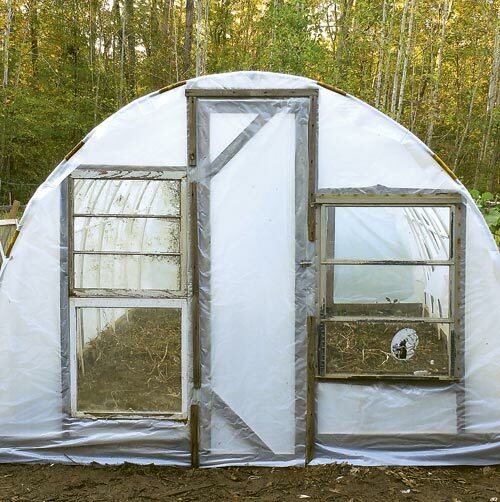 Now, realize, you’ll have to keep your greenhouse as warm inside as it would be on a typical summer day outside. So you should keep it around the mid-70’s to low-80’s inside your greenhouse. You will probably sweat when working in it, but that’s okay. Then you just let them grow until they won’t produce anymore. 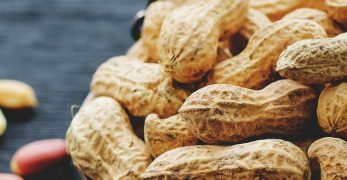 You can actually save them after they quit producing and sustain them, so you can replant them next year. A lot of people will bring their pepper plants indoors over winter and use the same plants year after year. 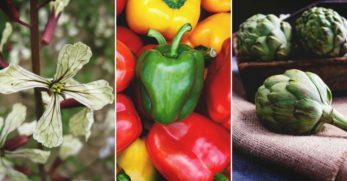 So keep this in mind if you are saving plants from your summer garden, so you can have a fresh tomato or pepper over the winter months. 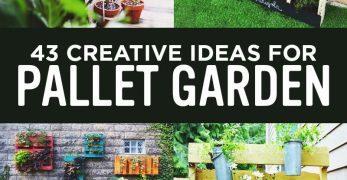 This final option is for people that want to be able to grow anything they want, any time they want. If you keep a really warm greenhouse (as mentioned above), you can plant seeds and grow them like you would in your normal garden. However, you have to realize that plants need to be pollinated. Since you won’t have bees flying around your greenhouse over winter, you’ll have to do this for them. So what do you do? You simply shake your tomato or pepper plants and this will cause their pollen to fly around and pollination will occur by simply shaking the plants. Then you’ll need to care for the plants as normal. 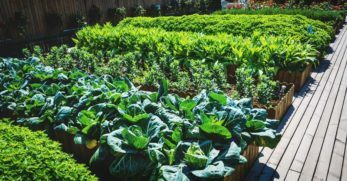 You should fertilize, water, prune and harvest as you would in any other garden. Actually, a lot of people will also overwinter certain plants in their greenhouse to keep them alive. 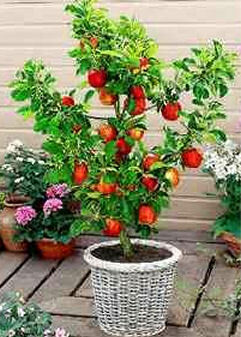 For instance, some people plant their fruit trees in pots. That way they can just move the pots to the greenhouse where the temperatures are consistent with what the fruit trees need. Then they harvest the fruit that is produced, fertilize, and prune the tree. When the weather warms up when the seasons change, they move the plant back outside and let it thrive there again. Having a heated greenhouse can be a great thing and very handy too. What Can I Grow in My Greenhouse Over Winter? I’ve already mentioned some plants that can be brought into a greenhouse to be grown or overwintered inside a heated greenhouse. 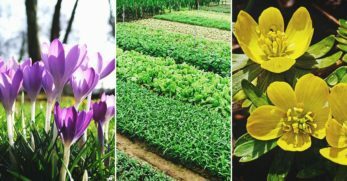 I’d like to go into greater detail with an easy-to-follow list, so you know what to try your hand at growing in your greenhouse. 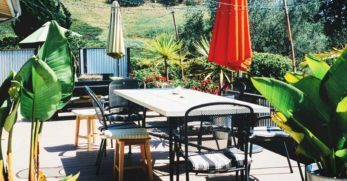 I wanted to start with heated greenhouse options that we’ve previously discussed. If you have a strawberry plant that is a potted perennial, then you can carry it in and out of your heated greenhouse year after year to protect your plant and keep it producing. 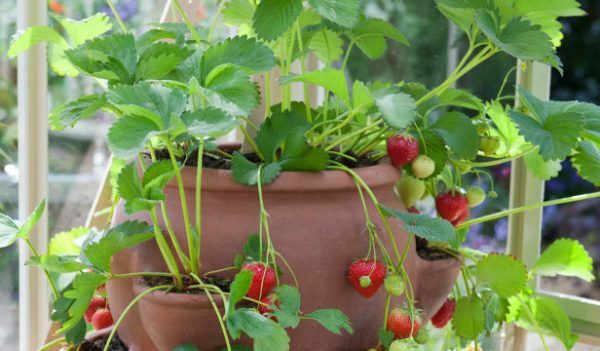 However, if you have a potted annual strawberry plant, then you may have success with prolonging its growing season within your heated greenhouse. Just remember, if you are going to grow strawberries from seed in your greenhouse, then you’ll have to pollinate them. If you have a pepper plant that is doing particularly well, then you may decide that you want to put that plant in a pot. 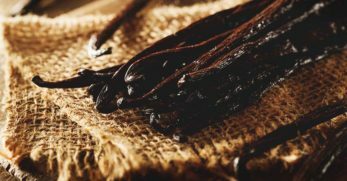 But instead of bringing it in your house over the winter to transplant next growing season, you could put it in a heated greenhouse and care for it until the next year. It should also help to prolong its production. We had the best luck growing tomatoes in our greenhouse one year. It was really warm, and they absolutely thrived. Our greenhouse wasn’t heated, and it still prolonged their growing season. 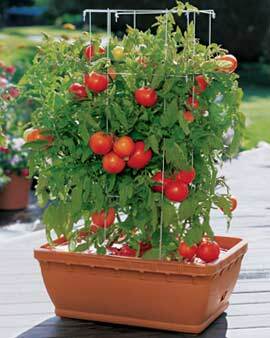 So if you put them in a heated greenhouse, it is possible to have tomatoes up until Christmas in some areas or longer. Just take care of them and meet their environmental needs and see how far the plant will go. Squash is another one I’ve actually seen people in my area producing in their greenhouse. Some of my neighbors had a particularly good year with certain squash plants, so they put them in pots and took them to a heated greenhouse. From there, they cared for them and enjoyed their harvest with a prolonged growing season into the winter months. This was originally why I built our original greenhouse. I had purchased some fruit trees and wanted to put them in a greenhouse so I could have fresh fruit all year long. I never got around to heating our greenhouse, so I just planted the fruit trees in the ground. But you can carry potted fruit trees into greenhouses to protect them, and they will produce for a prolonged period of time. 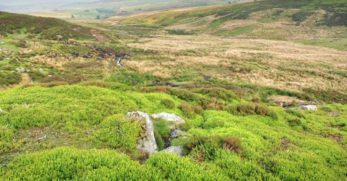 Basically, anything that you can put in a pot and care for in the right environment will usually produce a prolonged growing season. This includes growing into the winter months in some cases. 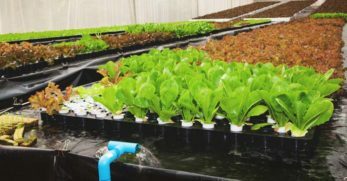 So if there is something you really enjoy, you can try starting the plant earlier in a heated greenhouse, or try to get it to grow later in a heated greenhouse as well. 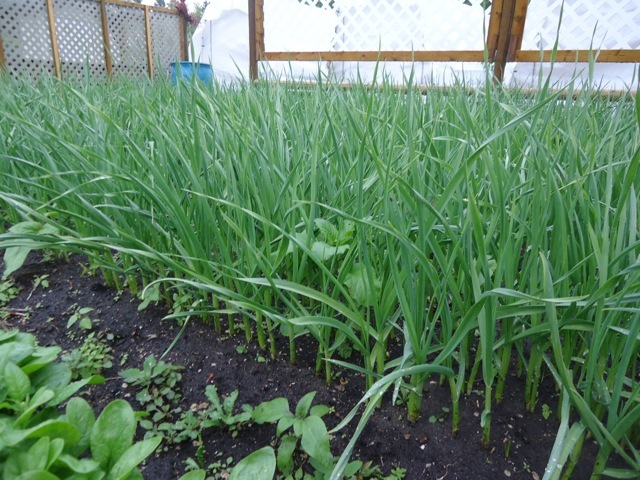 Onions are something that does not require a heated greenhouse to grow during the winter. As a matter of fact, onions can usually withstand being outside in the winter elements and still produce. But if you’d like to save yourself the trouble of hunting onions in the snow, then plant them in your greenhouse and watch them grow. Garlic is something that takes a while to grow. 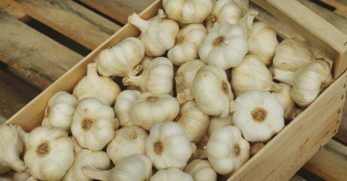 A lot of people actually plant garlic in the coldest of temperatures. So if you want to start your garlic a little easier by putting it in your greenhouse, then go for it. It won’t require any heat for it to grow. I’m a huge fan of spring onions. They just taste so delicious when they go on top of a hot bowl of soup. It is no wonder I’m so thrilled that they can be grown in a greenhouse that is not heated. Again, they are an onion. This means they are hearty and can survive without a greenhouse period. So growing them in a greenhouse will work as well. Spinach was one of the first things I ever grew in my cold frame greenhouse. It is hearty, so it doesn’t require any heat. Also, you can get a large harvest from spinach in a shorter period of time. You can also use it to make delicious salads or warm meals too. Broad beans are a sturdier green bean that is big and fat. They are planted in fall gardens sometimes because they are heartier. So it is no surprise that they can be grown in a cold frame greenhouse. The greenhouse will keep the frost from them, and they should produce quite well. Green peas are another vegetable that is hearty and actually prefers to be planted in colder temperatures. However, I must warn you that you need quite a bit of them to make a decent harvest. So unless you have a large greenhouse you may not get much bang for your buck. Asparagus is another plant that can survive outside in the cold without any help. Also, you should know that asparagus is a perennial that gets larger and better with each passing year. 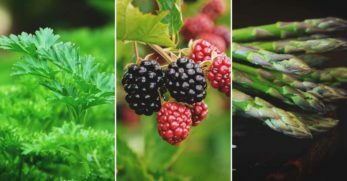 But if you wanted to grow asparagus in a cold frame, you could either create a section within your greenhouse for it to grow year after year, or you could put some in a pot in order to move it around and enjoy a harvest in colder temperatures as well. Lettuce is another vegetable that really prefers cold weather. When the weather gets too warm it will wilt. But if you grow leaf lettuce, you’ll get a large harvest, it grows very well in cold temperatures (this was another vegetable I grew a lot of in my cold frame greenhouse), and it does really well without any additional heat. Greens are cold hearty vegetables too. That is why a lot of people plant them in their fall garden and keep them around until brutal frost finally kills them off. 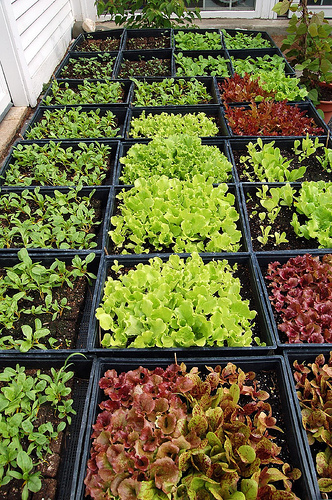 But if you want to enjoy fresh greens over winter, then plant them in a cold frame. I’ve grown them in a cold frame myself and always had a nice turnout. Mustard greens are another green, so obviously they will do well in a cold frame greenhouse over winter as well. 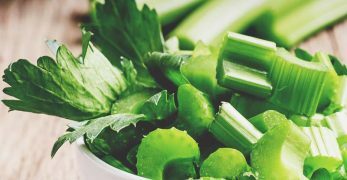 So if you want a spicier green to add some additional flavor to a warm meal or fresh salad, then you might want to consider growing these. Carrots prefer cold weather as well. There again, that is what makes them a great fit for a cold frame greenhouse set-up. 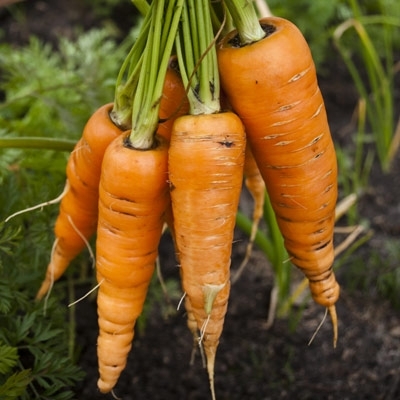 So if you enjoy carrots, you could either plant them directly in a bed in your greenhouse, or you could plant them in a pot and place it in your greenhouse. I did the latter of the two and had great success. Pak choi looks like a smaller version of romaine lettuce to me. Only it is a lighter color green. 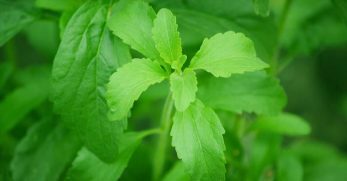 It is also known as Chinese cabbage. 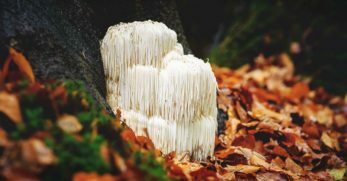 So if you’d like to add a little variety to your cold frame greenhouse this winter, then you might want to consider growing this too. 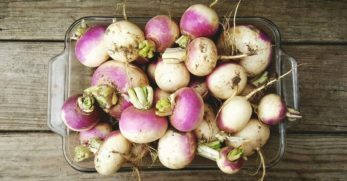 Well, those are your options for growing in a greenhouse over winter and also a list of vegetables you could grow in a heated or cold frame greenhouse over winter. 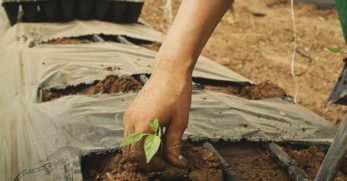 Now, realize, depending on where you live it may make growing certain things a little more difficult, but it never hurts to try it out, right? So I want to hear from you now. 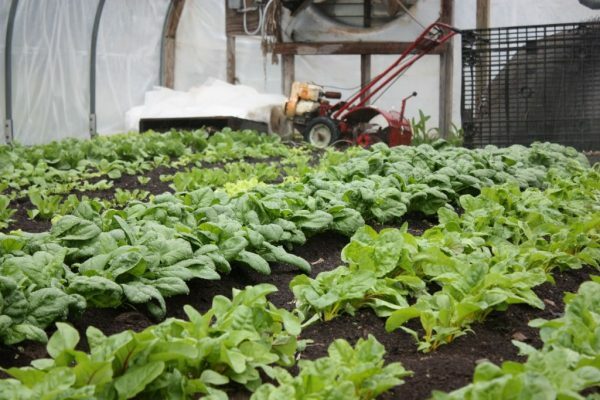 Do you grow vegetables in your greenhouse over winter? What do you grow? We love hearing from you, so leave us your thoughts in the comment section provided.